Obituary for Jane Ann "Janie" Powell | McCoy-Moore Funeral Home Inc.
Jane Ann “Janie” Powell, 59, Bidwell, Ohio passed away Saturday, March 16, 2019 in the Hamden Nursing and Rehabilitation Center, Hamden, Ohio. She was born May 3, 1960 in Gallipolis, Ohio, daughter of Robert A. and Vickie L. (Thomas) Powell, Bidwell, Ohio, who survive along with one sister, Virginia “Ginny” (Donald) Rickards, Lake Wales, Florida. Janie was preceded in death by her paternal grandparents, Arthur L. and Evelyn D. Powell and by her maternal grandparents, Harley and Vada Thomas. Private Family Graveside services will be held in Ebenezer Cemetery, Mount Carmel Road, Vinton, Ohio at the convenience of the family. 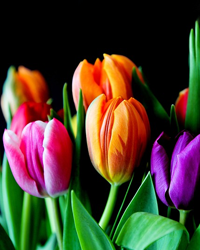 In lieu of flowers, Memorial Gifts may be sent to: InCare Ohio Hospice, 613 Chillicothe Street, Portsmouth, Ohio 45662.